Some 17 years after the Supreme Court ruled “separate but equal” unconstitutional in the landmark Brown v. Board of Education decision on May 18, 1954, I entered the world of desegregation as a high school sophomore in Chesapeake, Virginia. My teacher regaled us with tales of the good ol’ days on the plantation, notwithstanding the fact nearly half the students in her class were Black and had radically different memories of those days. In this classroom I gained a perspective on the Brown decision that many historians, myself included, have failed to fully highlight in scholarly analysis. Brown v. Board is typically offered as a case study in the search for equality. But it was as much a stepping stone to building a diverse democracy as it was about the attainment of equal educational opportunities for non-White students. The immediate post-Brown mindset assumed that simply integrating students, faculty and staff of color would lead to changes in institutional culture. The 1970s offered increasing examples of this line of thinking. Blacks sought opportunity that recognized the weight of race and history. Diversity was yet to come as a preference. Universities expanded outreach programs to underserved communities; developed affirmative action programs for Black and brown students; modified their curricula by introducing ethnic studies, African-American and women’s studies programs; and pledged to expand opportunities for students and faculty of color. Then in 1978, a much divided Supreme Court ruled race could be just one of several factors to consider in university admissions decisions. The Court further ruled it had to advance a greater desire for diversity than remedying histories of discrimination. Few took notice, however, that diversity alone did not automatically create inclusion. Without deep commitments to inclusion, as students like me could have explained at the time, simple integration and diversity initiatives fail to reach the ultimate goal of equity. Numbers alone didn’t — and won’t — trigger a commitment to equality or equity. Sixty-three years after Brown, we have entered a new era of diversity. The ensuing decades proved how an empowered majority can use tactics like restrictive voting rules and neighborhood redlining to prevent integration from changing the status quo. If we value diversity, we must define it and leverage it for common benefit. Black children are allowed in classrooms now, and they probably won’t be subjected to misty-eyed recollections of slavery or the Jim Crow era while they’re in them. But more than ever, diversity matters in our communities and our democracy. For diversity to assist in creating a prosperous democracy, we must ask and answer different questions. This next generational effort is set against a backdrop of ever-increasing racial and ethnic change in America. Most demographers predict by 2044 the U.S. will have a non-White majority. Demographic projections suggest a majority of Americans will live along the increasingly diverse East, Gulf and West Coasts. For some observers, the imminent shift suggests no further state-supported action is needed. This idea harkens back to the immediate post-Brown mindset that greater numbers of people of color make diversity inevitable — that the numbers will take care of everything. The poverty of this argument becomes evident with any serious examination of the post-Brown African American experience. Diversity never accomplishes itself. But as we honor this decision’s anniversary in 2017, it’s fair to wonder whether or not it can still provide a useful guide for conversations about today’s diversity challenges. After all, the prospect of a non-White American majority would have likely shocked observers in 1954. Today’s battles, like campaigns to make university faculty, museum leadership and corporate boards reflect the world in which we live, weren’t a part of the conversation back then. Look as closely as you wish, but you won’t find much discussion of them in Justice Warren’s opinion. That’s why it’s time for a new Brown for a new age. It doesn’t have to come from the Supreme Court. Brown was more than a legal decision; it was a stake in the ground. Fifty-eight years after Plessy v. Ferguson denied Black Americans their full rights, nine men in robes delivered an animating message for the cause of justice in our nation. As academics, philanthropists, educators, and engaged citizens, we can — and must — do it again. On this 63rd anniversary of diversity’s biggest moment, let’s talk about how we can use the cautionary tales from my high school class to re-write the manual on American diversity. 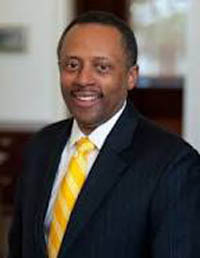 Dr. Earl Lewis is president of The Andrew W. Mellon Foundation.